Perfect table-talker templates. 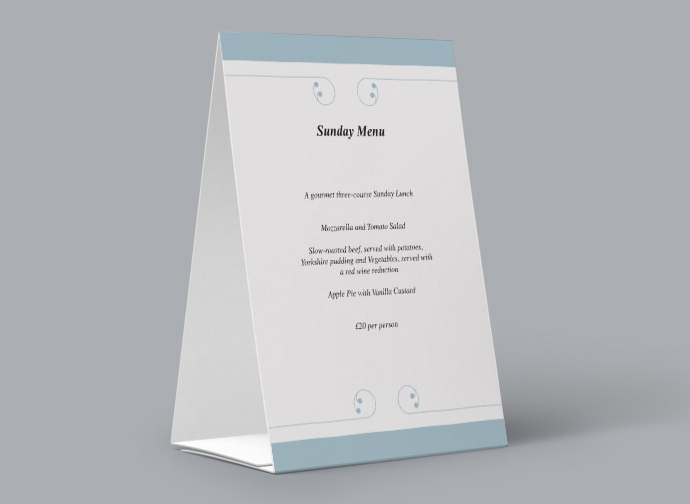 Show-off your offers, upsell, promote local produce, menu of the day, upcoming celebrations, with a Print Waiter tent card design you can speak to your customers with style. 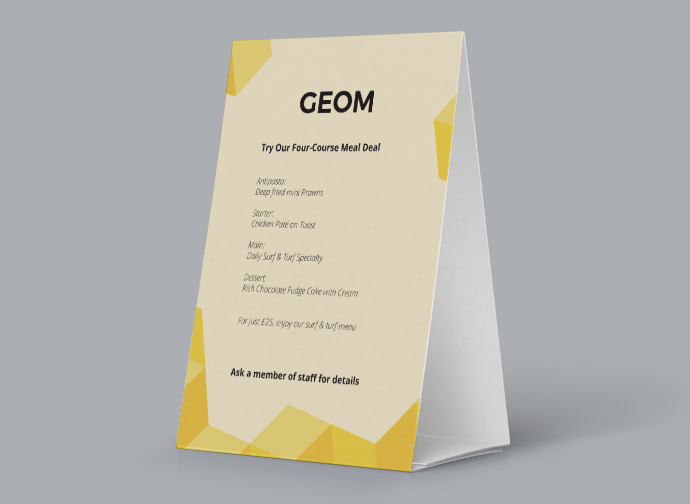 Professionally printed on both sides. 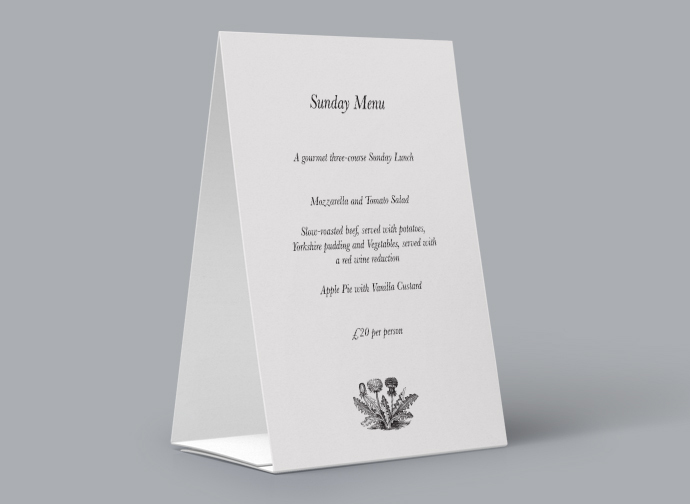 These templates are designed to sit beautifully on any table, just choose your style and away you go. "I told my customers about a local wine with a tent card and had to re-stock again and again"
A weight off your mind. 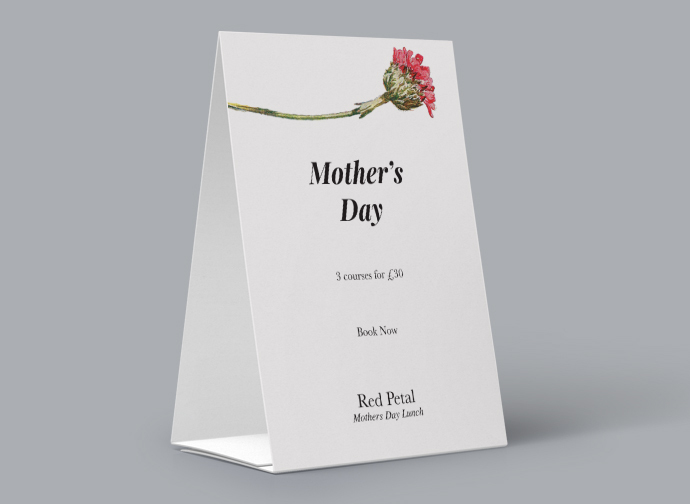 Tent cards have to be solid enough to stand on their own. 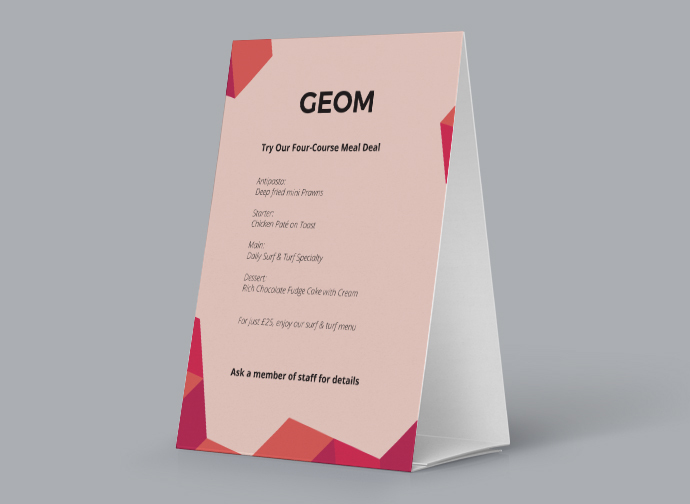 They are three-sided and at Print Waiter, we don't offer anything that doesn't do what it is designed to do. 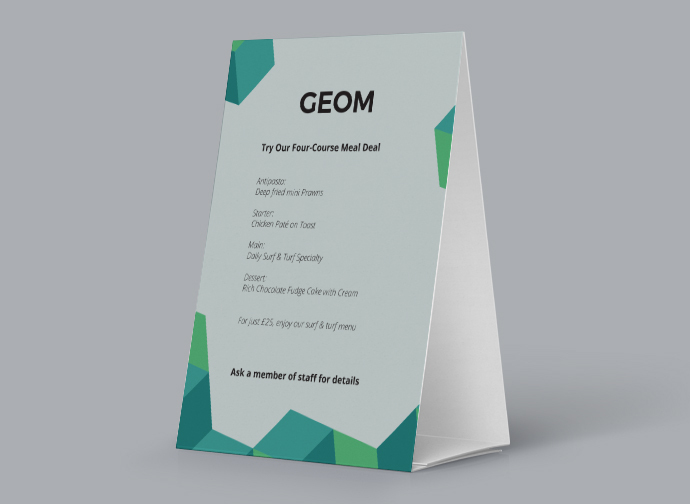 Each style that we offer has a full range of complementary products. 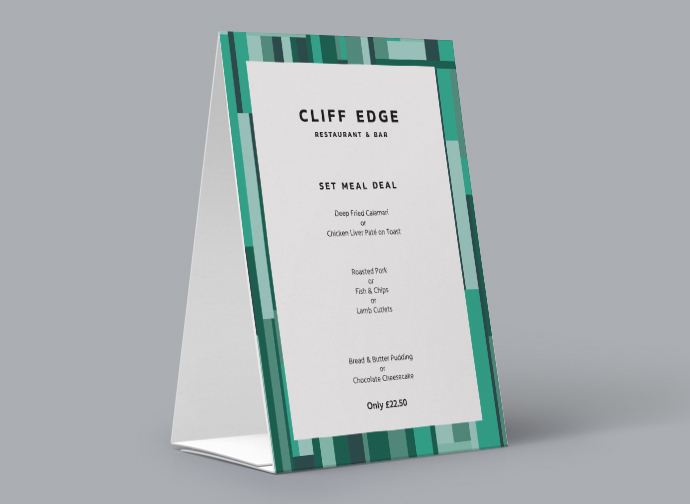 Posters, tent cards, coasters and a variety of menu styles. 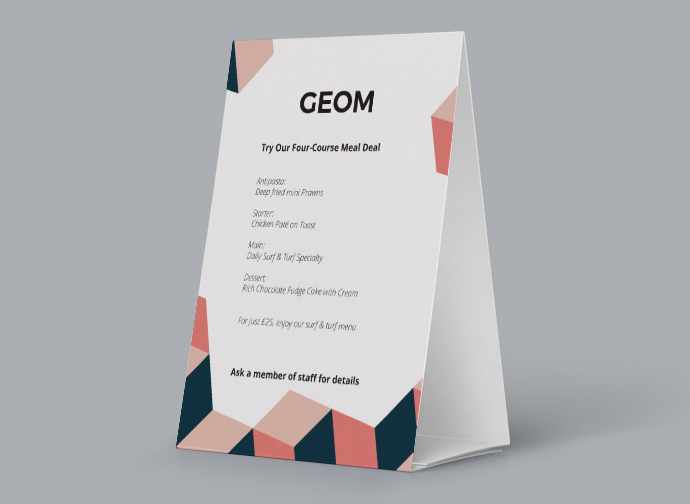 Whatever you need it will fit beautifully into our templates. 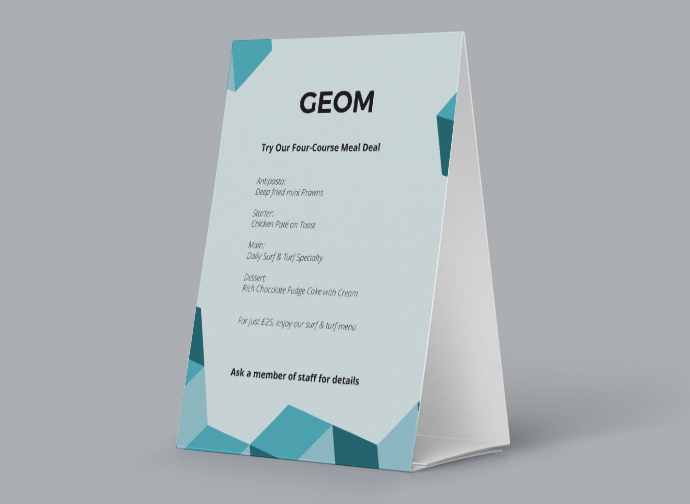 Why order tent cards? 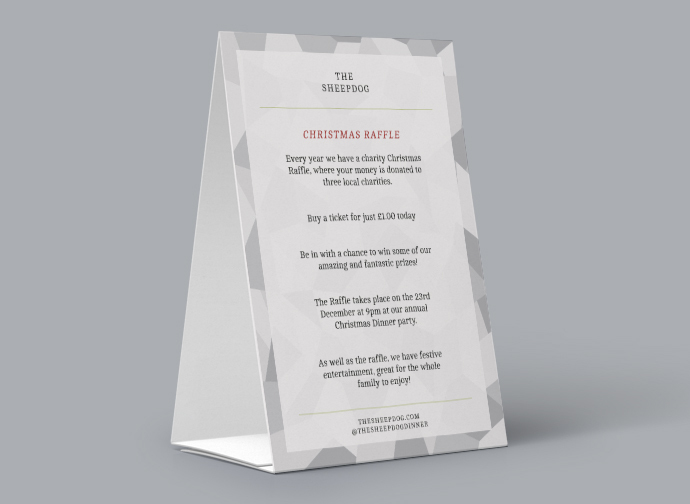 Put simply, a well-designed table talker is invaluable to your business. 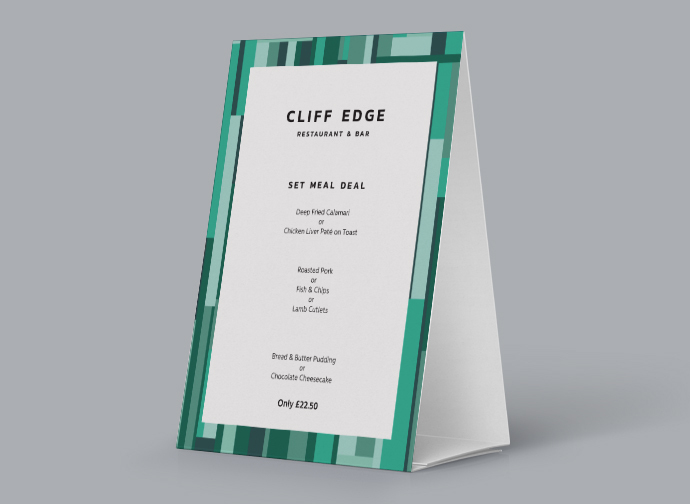 Promote special evenings, local produce, set menus, offers, without having to disturb your customers. 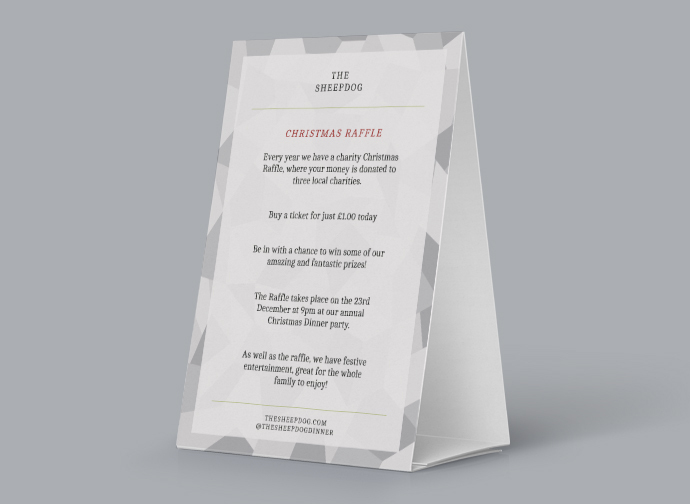 A stylish tent card design for the purist that looks great in contemporary restaurants and bars. 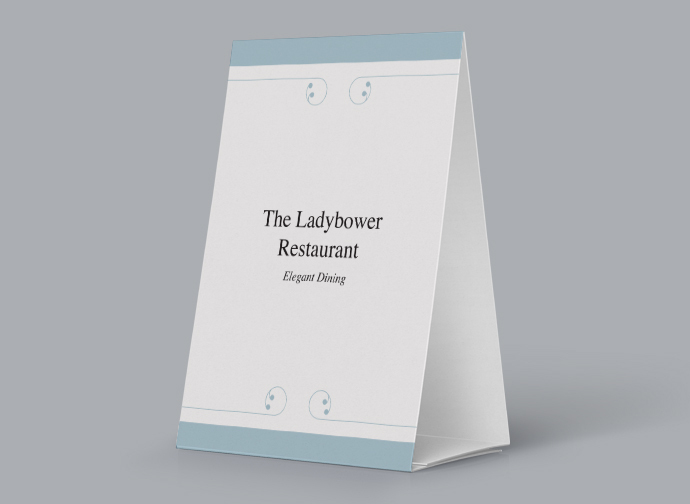 The LadyBower Restaurant - A dignified tent card design that speaks volumes for your restaurant, cafe, bar or hotel. 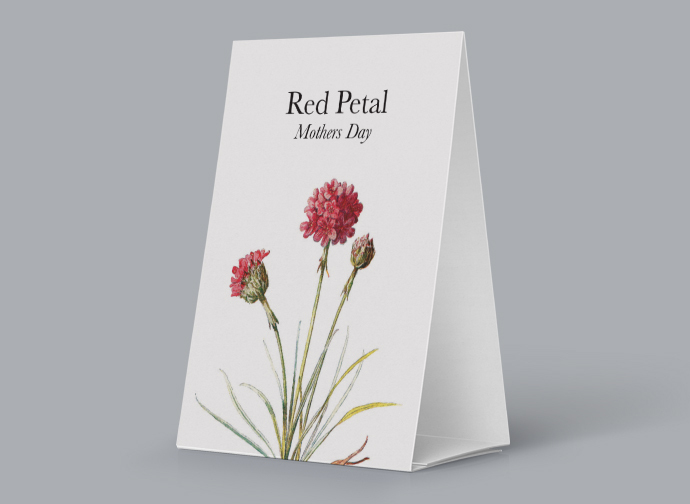 This stylish Mother's Day tent card is perfect for quality establishments with a perfectly balanced menu to match. 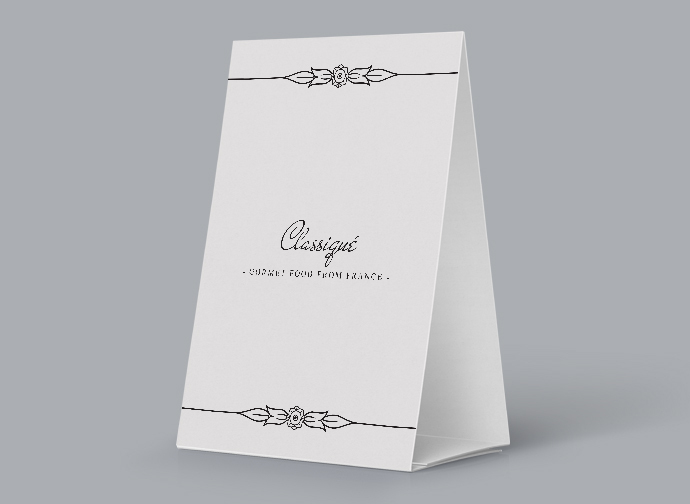 Classiqué – This crisp tent card design features a flowing font and floral border for refined dining and drinking establishments. 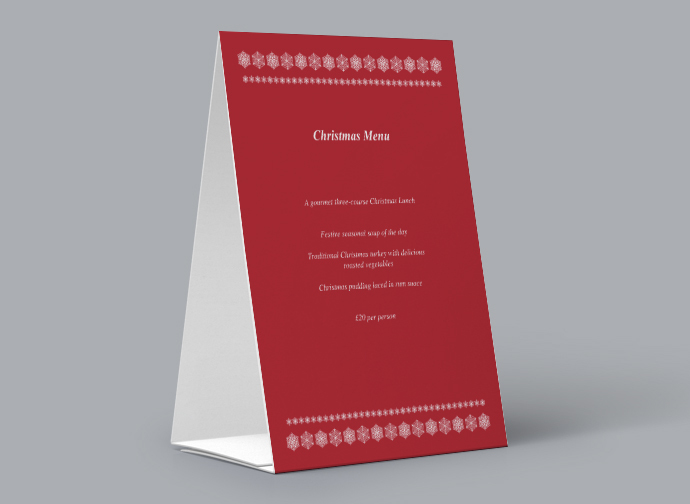 An abstract fragmented ice tent card design that really stands out for festive drinks or meals. 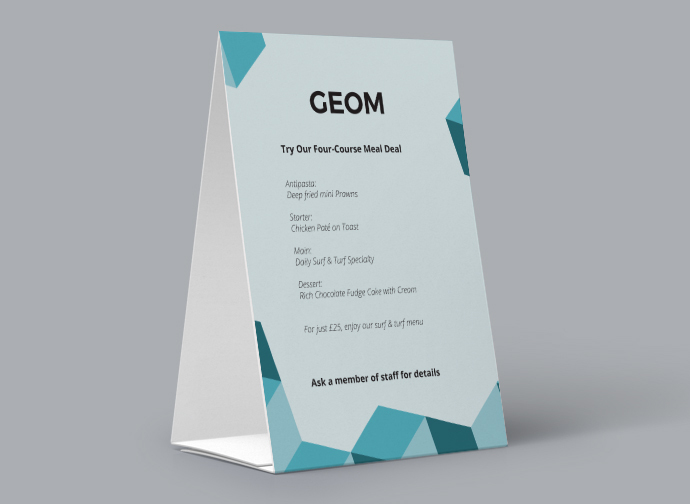 Geom Turquoise – This bold tri-tone tent card design gives a 3D effect and is ideal for modern eateries and bars. 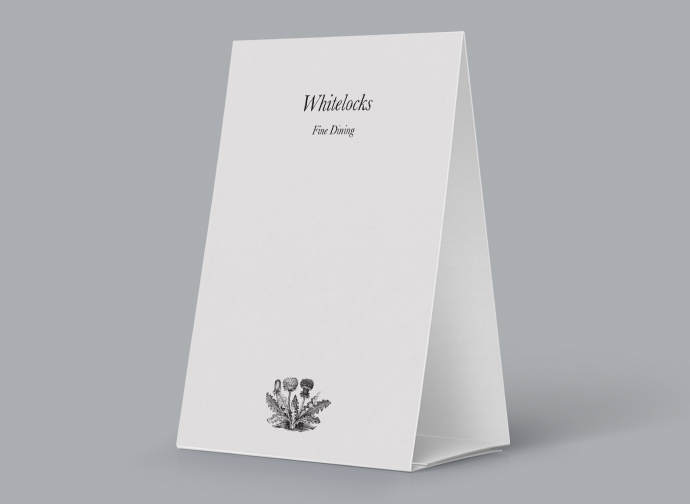 Whitelocks – A classic clean tent card design with a discreet flower motif for elegant bars, bistros and restaurants. 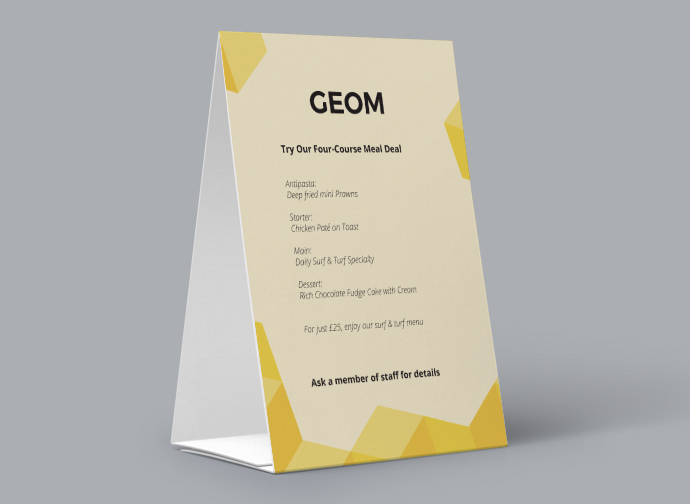 Geom Yellow – This joyous tri-tone tent card design gives a 3D effect and is ideal for modern eateries and bars. 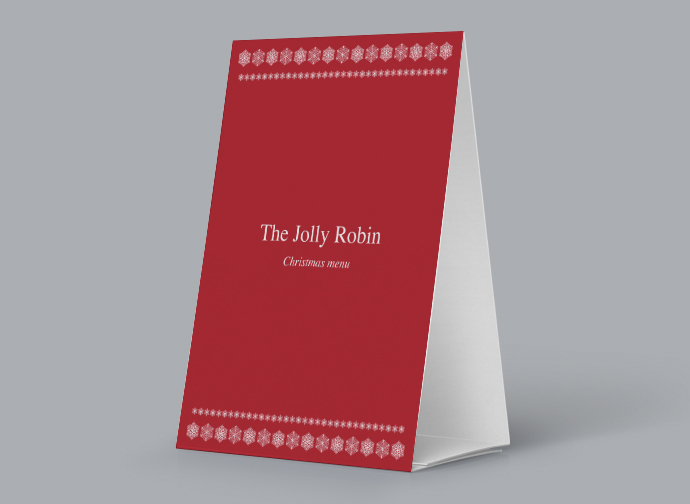 A wonderfully warm and festive red tent card design that's ideal for almost any establishment this festive season. 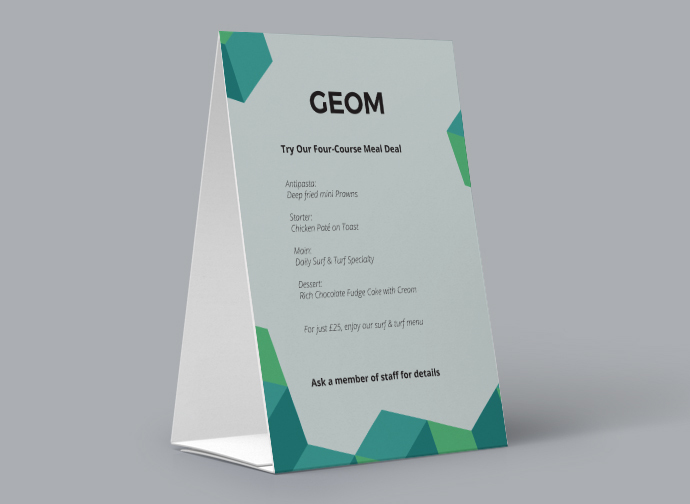 Geom Green – This smart tri-tone tent card design gives a 3D effect and is perfect for modern eateries and bars. 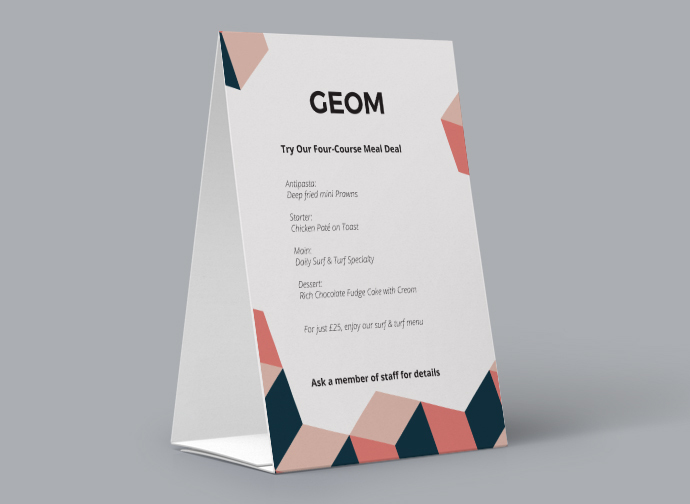 Geom Autumn – This warm tri-tone tent card design gives a 3D effect and is ideal for modern eateries and bars. 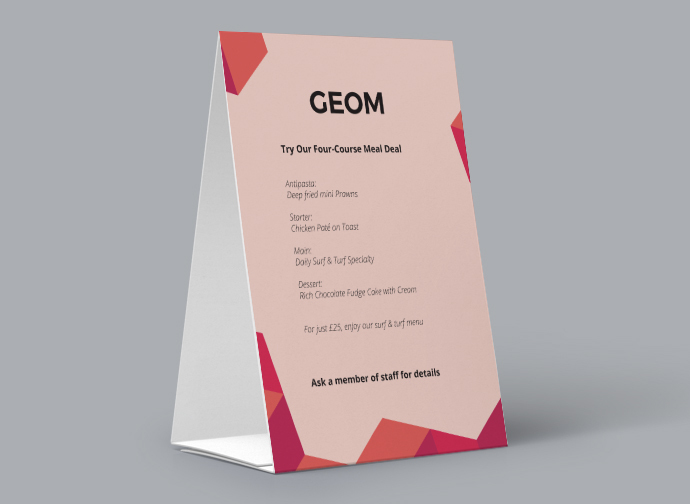 Geom Pink – This vibrant tri-tone tent card design gives a 3D effect and is suited to modern eateries and bars. 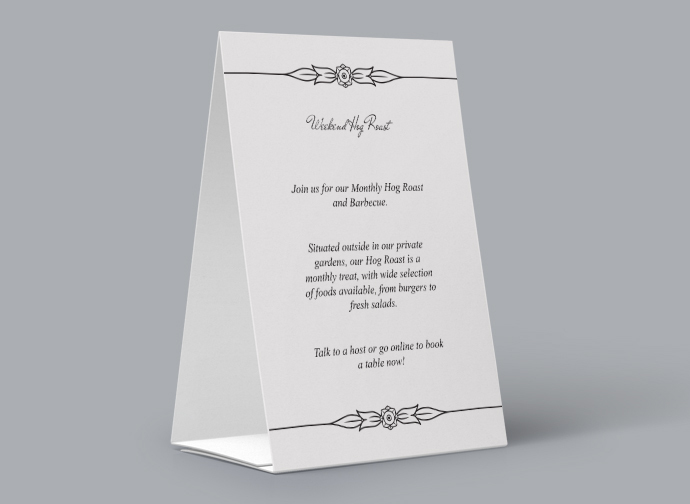 We now have table talkers that we were proud to put on our tables. Thanks Print Waiter.